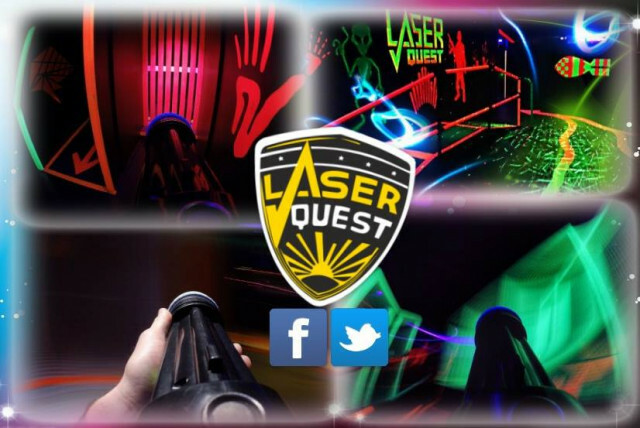 Laser Quest is like a living computer game: a bruise-less, mess-less, zero contact combat game played with high tech infra red equipment! Whether your're 6 or 66 you'll love the adrenaline pumping exhilaration of stalking your opponents and unleashing a volley of Laser Fire in the Battle-Zone of the next Century! Combining classic hide and seek with serious thrills and firepower to make one heck of a game! Kids love getting hands on with the futuristic looking Laser Guns. We have a minimum height restriction of 1.1metres which is usually more than capable of carrying the lightweight equipment backpack required. If the pack is too heavy or uncomfortable for them then why not step up and caddy the kit while they shoot? Of course you can also join in with your weapon if they're big enough to tote their own! The game is played in a purpose built arena. A huge glow in the dark maze making it hard to follow players, with lots of corners and barrels to hide behind. Each game will last approximately 15 minutes which includes the saftey breifing and kit up.